One good thing to come out of this week’s phlegm-o-rama was the opportunity to plow through the remaining half of my Twin Peaks “Definitive Gold Box Edition” DVD set: fifteen episodes spread over three days. Coming back to Twin Peaks seventeen years after this late and very much lamented series blipped into cathode ray oblivion it strikes me as nothing less than the Rosetta Stone of modern scripted television. I’d argue that shows ranging from The X-Files and Battlestar Galactica to Gilmore Girls and Desperate Housewives all border on the same woods surrounding that famous Washington logging town. When Peaks debuted in April, 1990 it looked like nothing else on television. Co-creator David Lynch was a celebrated film director making a leap to the small screen at a time when that was seen as a step down, and he brought his cinematic sensibilities to the composition of shots and the pacing of scenes. Meanwhile, his surreal storytelling and strange visions turned the weirdness knob to eleven and demonstrated to other film directors that working in an episodic TV format didn’t mean they had to check their creativity at the studio door. Lynch poked a pointy stick at small-town life, exposing both seediness and silliness, and in the decades that followed, the odd qualities of Twin Peaks and its inhabitants have informed other quirky fictional communities. Cicily, Stuckeyville, Trinity, Stars’ Hollow, Sunnydale and many more can trace a route back to the Double R Diner. But what really fueled the pop-culture juggernaut that was Peaks before it became a spectacular, flaming wreck was a deceptively simple question: “Who killed Laura Palmer?” The discovery of the popular-but-troubled high school student’s plastic-wrapped body captured the public imagination. Unlike Dallas‘ famous query, “Who shot J.R.?” there was no easy answer. The clues were numerous and not easily interpreted, coming often in dreams and visions. The enormous cast of characters offered dozens of potential suspects, and magazines published two-page spreads detailing the web of connections between them. The funny thing was that, as we eventually learned, the producers originally had no intention of solving the mystery. 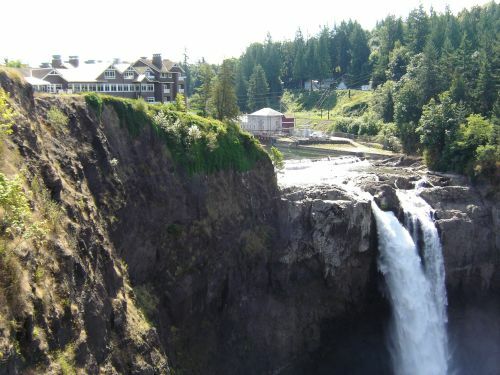 Laura’s death was meant to be the catalyst that brought Kyle MacLachlan’s FBI Agent Dale Cooper to the town and led to the exposure of its many seamy secrets. However, they hadn’t reckoned on the audience’s demand for closure, nor the endless drum-beating of the network’s own publicity department. Honestly, I don’t see how it would’ve worked as a multi-year premise even if ABC hadn’t been pushing the “Who killed Laura Palmer?” gurney as fast as its little wheels could spin. Originally airing as an eight-episode miniseries in the spring of 1990, Peaks returned with a full season that fall, but the pressure was on and the producers capitulated by November and revealed Laura’s own father as her spirit-possessed murderer. And when he in turn died a few weeks later, the show deflated like a pie without cherry filling. That’s not to say that some interesting things didn’t come out of the final thirteen episodes. I really got into the supernatural elements which came to the forefront: demonic owls, Project Blue Book, and the search for the hellish Black Lodge that ended in David Lynch’s nightmarish and infuriatingly incomplete cliffhanger. Back in the day, Twin Peaks‘ use of long-term storytelling was an anomaly. Most TV dramas were episodic, with plots both introduced and concluded in a single installment. (Or, if they were feeling frisky, they might toss in a two-parter.) This format made them more attractive once they hit the after market of syndication; local TV stations could run episodes in any order without disrupting continuity. As for myself, I see Peaks not as a failure but a trailblazer. It arrived just a few years too early to take full advantage of the Internet’s ability to connect fans into manic, clue-solving engines. (It did inspire a “save our show” letter-writing campaign; letters, remember those? If it was on the air today, some poor ABC mailroom drone would be drowning in logs or pieces of cherry pie.) Furthermore, story arcs have become enough of a norm that both viewers and networks are a bit more patient in allowing them to unspool. They won’t wait indefinitely (see Lost), but the frustration takes longer to set in. 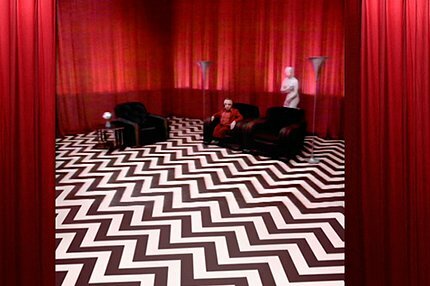 I continue to hope that someday we’ll get one final journey back to Twin Peaks, just to find out if Agent Cooper ever shook the malevolent evil of BOB, and, more importantly, whether he ever managed to brush his teeth.